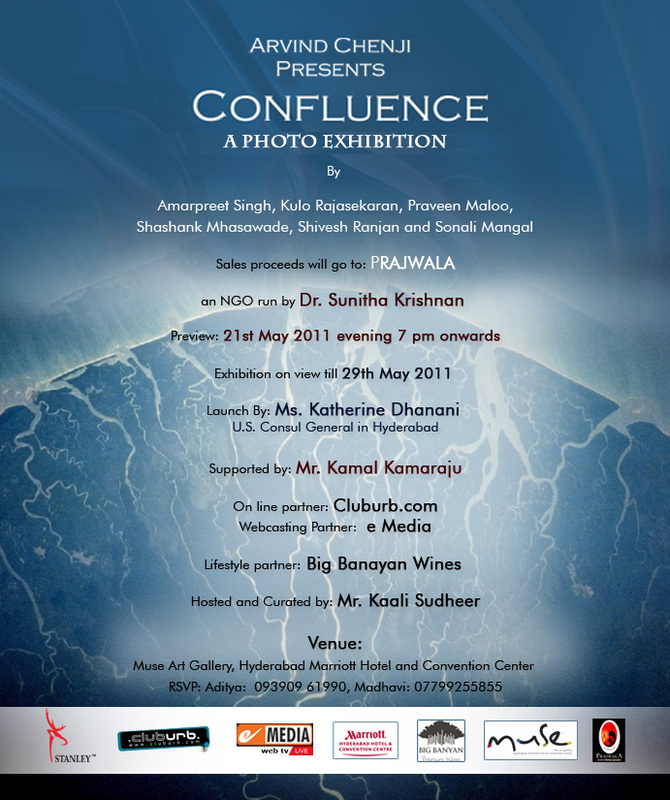 Confluence – This is the title of my first exhibition 🙂 I and five of my colleagues from Microsoft are coming together to do a Photo Exhibition at the Muse Art Gallery, Hotel Marriott, Hyderabad, from 21st May – 29th May, 2011. The proceeds from this exhibition will go to an NGO by the name of Prajwala, run by Dr. Sunitha Krishnan. Watch her TED talk to get an idea of the great and courageous work she is doing. The exhibition is being supported by a number of people – Mr. Arvind Chenji, a professional photographer based out of Hyderabad. He personally helped us shortlist our photos for the exhibition 🙂 Ms. Katherine Dhanani, the Consul General for the US Embassy in Hyderabad will grace the occasion as the chief guest. Mr. Kamal Kamarju, a popular Telugu movie actor involved with many social causes. Our other partners include Cluburb.com, Big Banyan Wines, Red Bull and The Interior Park India.